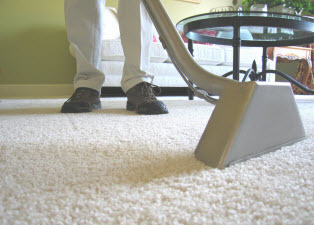 When you are dealing with stains on your carpet it is a good idea to know how to best treat that type of stain. There are different stains that require methods of cleaning that are drastically different. Some stains require that you use cold water while others require that you use hot water. You also may want to let the stain dry while many stains require that you start cleaning it the moment that it happens. When it comes to paint that has been spilled on your carpets you want to make sure you use the right methods. Paint is a hard substance to remove and if you are not careful it can damage the carpet and require you to replace it. Nail polish is a paint that is in most homes if you happen to have girls. They love to try out their new polish and test it on their friends. The polish is meant to go on and stay so when it drips on the carpet it can be very difficult to remove. There are a few options that you have to try and get it out. Does Hairspray Remove Nail Polish from Carpet? : When you realize that the kids have been using your polish on the carpet you want to make sure that you act fast. The longer the nail polish has to dry the harder it can be to remove. Be sure that you always only work in small areas to ensure that you do not spread the paint out any further. The first method that you can use is by getting a clean cloth, cold water, rubbing alcohol and a bottle of hairspray. Start by getting the cloth wet with cold water, Then dab it on the area that you need to treat. Then use your bottle of hairspray and spray the area until it has been covered well. You can then use the rubbing alcohol on a cloth to apply while dabbing at the area. This will breakdown the stain and when you dab allow you to pull the stain off the carpet. Be sure that you follow up with a clean wet cloth at the end to finish the cleaning. How to Remove Nail Polish from Carpet with Windex or Window Cleaner: No matter which method you use to clean the nail polish from the carpet you want to make sure that you move fast. The paint will slowly dry and attach to the fibers of the carpet. This can cause some damage that is difficult to recover from. You can hget out your window cleaner and use it to soak a cloth or paper towel. Then apply it to the paint and allow it to sit for a few minutes. Then press into the carpet and pull away careful not to spread the paint. You can repeat with a clean cloth several times if necessary. Use Nail Polish Remover to Clean Nail Polish Stains from Carpet: This method is not the best since it has the harshest chemicals but it is an option. Be sure to test the nail polish remover on a small area to ensure that it is not going to damage your carpet. You can use a cotton ball that has been soaked in the polish remover and press it over the spot. As it comes off the carpet you want to make sure that you replace the cotton with a new one until all the color has been removed. Coastal Carpet Cleaners can come out to your home and treat your carpets for stains, spots and high traffic areas to name a few. Call us today to make your appointment. 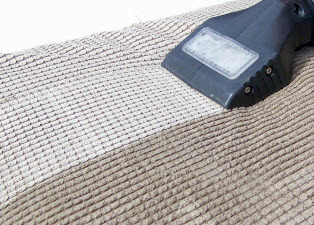 Coastal Carpet Cleaners offers the safest carpet cleaning for you family and pets! When you call us, your carpet and rugs are cleaned with safe cleaning agents and enzymes that not only clean but restore your carpet. And the steam cleaning process, also known as hot water extraction, leaves no cleaning residue in your carpets, leaving them softer and fresher than any other process and removes 98% of the bacteria and allergens that live in your carpet! Coastal Carpet Cleaners are recognized as one of the most educated and experienced upholstery care companies in Redondo Beach! Upon a thorough inspection, our technicians will determine the proper cleaning procedure for your specific needs. From heavily soiled to light cleaning, our green cleaning process is designed to restore your furniture as close to its original condition as possible. We can clean all types of upholstery, even the most delicate of fabrics. 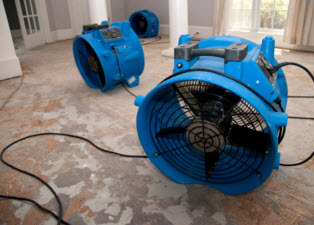 If you've had a flood or other water emergency, Coastal Carpet Cleaners can help extract and remove any standing water and clean and deodorize your carpets fast! We understand that standing water in your own home or business can be a stressful situation. Proper drying and restoration is of upmost importance to keep secondary effects such as mold growth at bay. We are open 24/7 so you can be sure we will be available right when you need us most.